First time I had this beer was at Hill Farmstead’s Festival of Farmhouse Ales. As you might be able to tell I take regular trips to Hill Farmstead and try to make it to all of their events as Shaun and the crew at Hill Farmstead do an amazing job with their events. I found this bottle on another tour through Vermont at the Hunger Mountain Coop in Montpelier and brought it home with some other great beers. This beer has an amazing orange glow with a very thick white head. Aroma is so complex it is hard to describe but it certainly has some funk but also has some spice, earthy hops and a bit of lemon. That doesn’t accurately describe everything that is going on with this beer but if the picture to the right doesn’t make you thirsty than you may as well move on. Taste again is very complex, if you read the brewers description below you will understand why this beer is hard to describe. So much going on but it all works very well together. 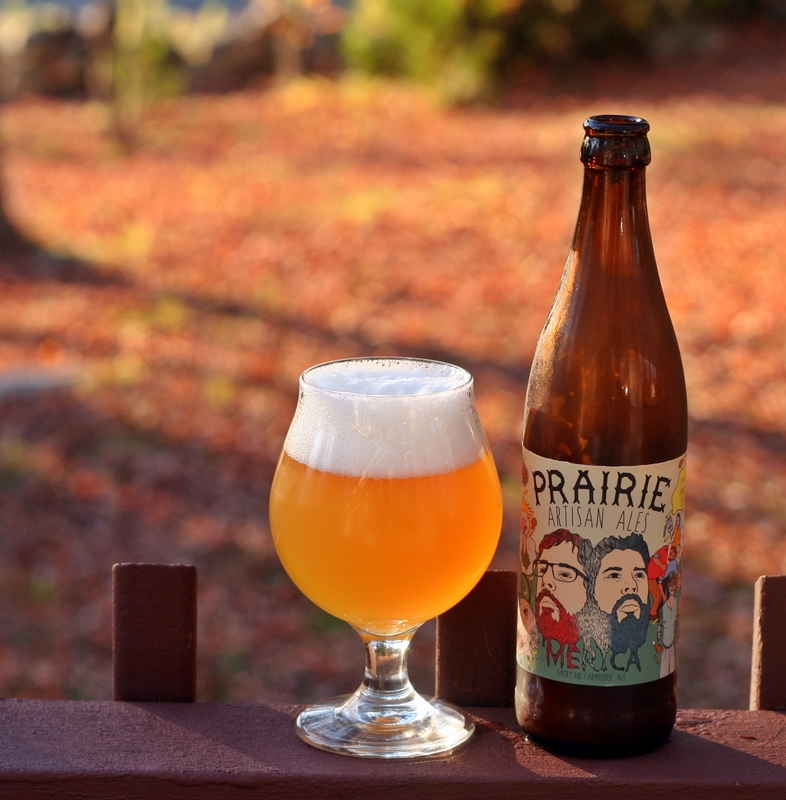 Prairie recently changed from full 750 ml bottles to 16.9 ounce bottles on this beer and I have to say I wish I had the larger bottle. Really great beer and certainly worthy of being served along side the saisons from Hill Farmstead and other World class breweries at the FoFA. 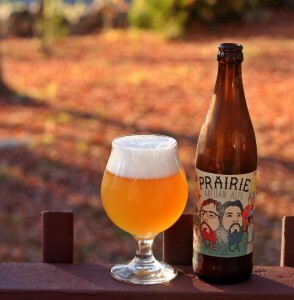 Brewers Description:‘Merica is a single malt, single hop farmhouse ale. It’s brewed with floor malted pilsner and 3lbs per bbl Nelson Sauvin hops. The beer is conditioned with 2 brett strains and wine yeast. The Nelson hops provide white wine flavors while Brettanomyces add a juicy quality to the beer.